VICTORY! ALDI to phase out cage eggs from all Australian stores! The day hens are no longer confined in cruel cages just got closer. 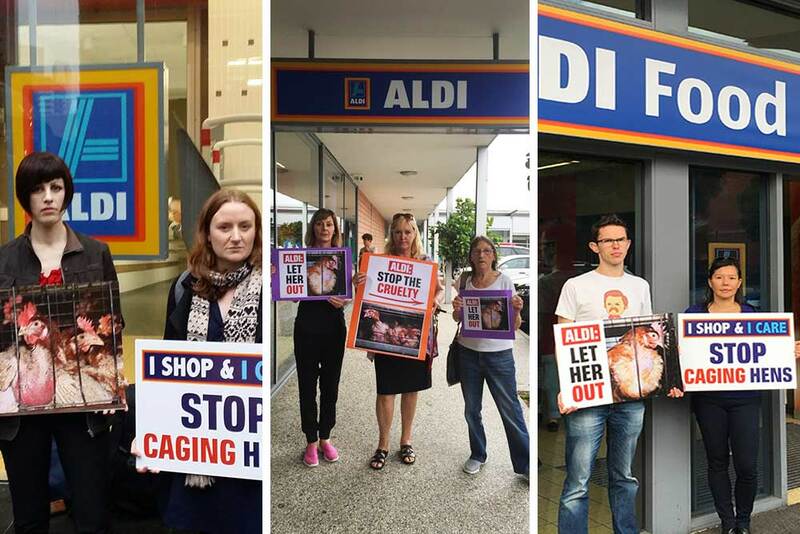 Today ALDI joins a growing number of retailers recognising that cruelty is bad for business. And it's thanks to Animals Australia supporters, like you! For months on end, failed talks with ALDI were getting hens nowhere. We knew that ALDI's support for cage eggs was at odds with public sentiment. We knew that ALDI had its sights on blanketing the Australian supermarket landscape. We knew that hens suffer horribly in cages. We knew we had to go public. Enter 15 year old Animals Australia supporter, Angelina. 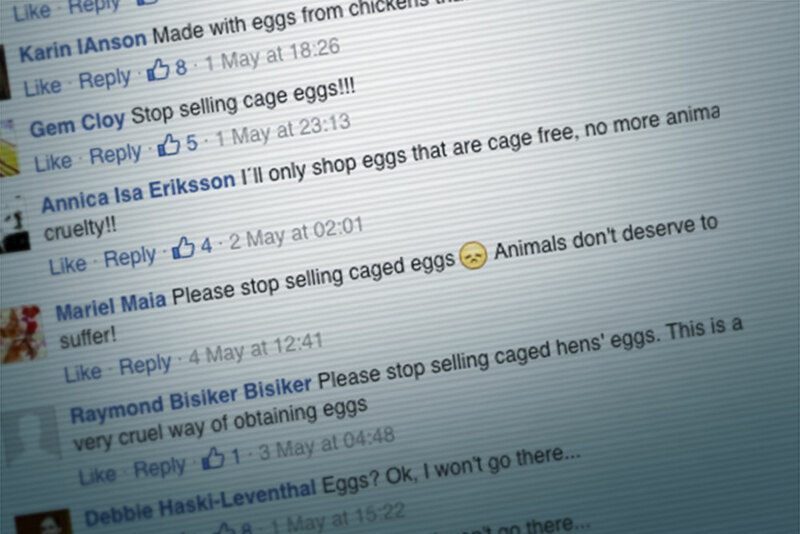 Her landmark petition on Change.org asking ALDI to stop selling cage eggs set in motion a campaign that would attract the attention of the whole country. In just days, over 40,000 people signed on! People all over the world began asking ALDI Australia to join ALDI US and ALDI Germany in taking cage eggs off their shelves. Kindness was the social media topic of the day for weeks. To show ALDI how much people really care, Animals Australia supporters held protests outside stores all over the country. Protesters can't be outside stores 24/7. But these ads can. When we asked for your help to fund an ambitious outdoor ad campaign, the public support was overwhelming! In just days thousands of kind people chipped in to send ALDI a message they couldn't ignore. ALDI has heard you! 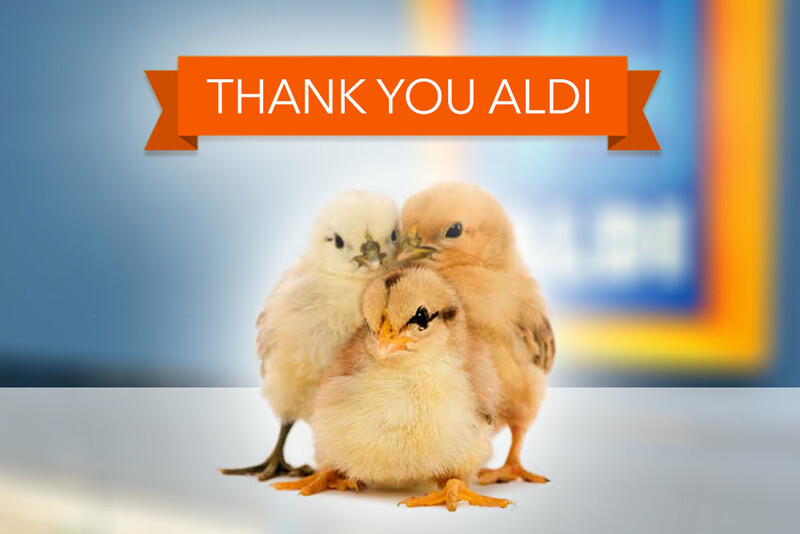 Today ALDI joins some of the biggest retailers in the country in committing to free hens from cages. As Australia's third largest supermarket chain, this commitment sends a clear signal that the days of the battery cage are coming to an end. 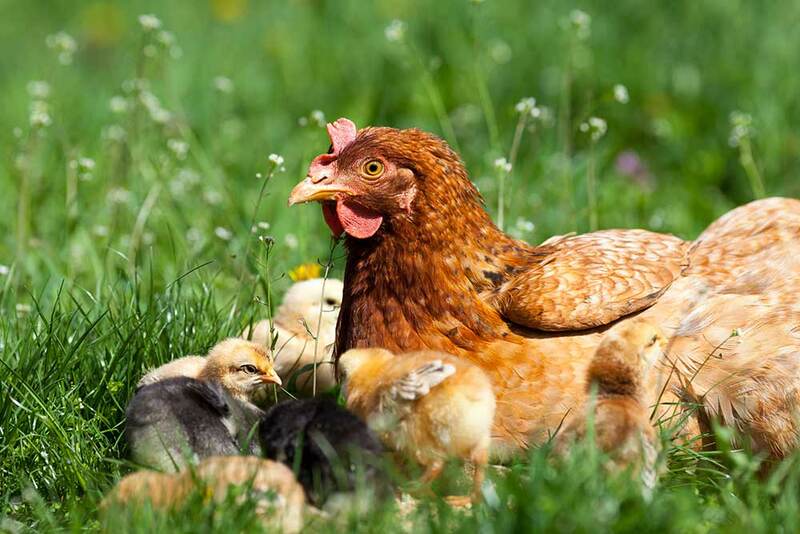 Animals Australia commends this step forward for hens, and we look forward to working with ALDI to roll out this phase as soon as possible. When we asked for your help to free ALDI's hens from cages, you stepped up. Actually, over 100,000 kind people stepped up — by phoning and writing to ALDI, signing petitions, leaving comments on ALDI's Facebook page, rallying outside stores, and donating to get ads in carparks. You did it! And it's not the first time. You stood by us when we asked McDonald's to drop cage eggs (and they did) and when we asked Hungry Jack's to follow suit (and they did) and we owe it to you again in convincing ALDI that cruelty is bad for business. Because of you, literally millions of hens will be spared from suffering life in a battery cage. We won't rest until every single hen in Australia is free from life in a cage. There is still a long way to go, but today hens took a big step closer to freedom. 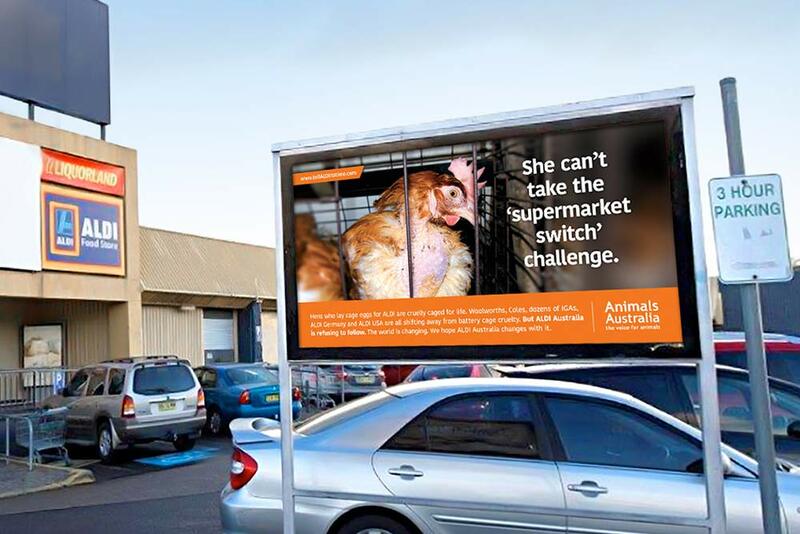 Please show ALDI that Aussies applaud kind choices for animals by thanking them for going cage-free on their Facebook wall. Take this campaign for hens into your work by signing up for the cage-free workplace challenge. Free campaign kit included! Be a savvy shopper — help end the demand for factory-farms by eating fewer eggs, and download our egg labelling cheat sheet to understand what labels really mean for chickens.